As the beautiful sunlight flares around her, our latest beautiful bride from Korea adjusts her veil as bystanders watch near the Charles Bridge in Prague. 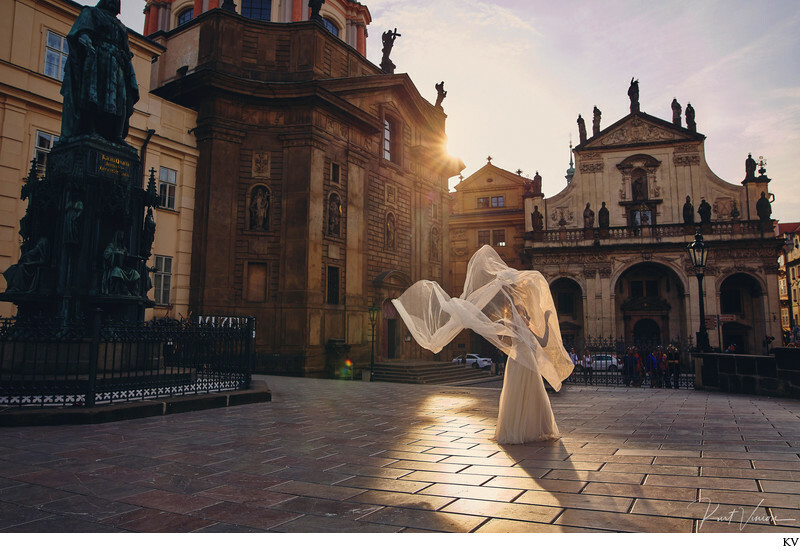 Many couples are discovering the Czech capital city of Prague and are arranging special elopement weddings and pre wedding portrait sessions to take advantage of it's incredible architecture and 'old world charms'. Wedding & Portrait photography by Kurt Vinion, based in Prague since 2008. Keywords: fine art wedding photography (3), fine art weddings (99), Golden Light (93), gorgeous brides (18), modern weddings (39), Prague (792), veil (51).